Fénix Jiu Jitsu is the Leading Martial Arts academy in Hickory NC. Brazilian Jiu-Jitsu is an Excellent Way to Build Confidence, Improve Health, Relieve Stress, and Just have Fun. At Fénix, we provide a clean, professional and focused learning environment where we teach the same Brazilian Jiu-Jitsu fighting techniques used by UFC fighters, military and law enforcement. Our programs are designed for all skill levels, those looking to develop their self-defense skills and martial artists aspiring to compete at a higher level. If you're not sure if Jiu-Jitsu is right for you, we invite you to visit us, get to know us and only then become a member of our student-family if you feel it is right for you. Fénix Brazilian Jiu-Jitsu Classes Are Enrolling Now! One Low Monthly Rate Gets you Access to All Adult Classes! Now Offering FREE Jiu-Jitsu to any and all active-duty Law Enforcement Officers. No catch. 100% FREE! Simply view class schedule below, and show up to begin! Or, fill out our webform and an instructor will contact you to answer any questions and explain everything. Original Workout and Fénix Jiu Jitsu Support Law Enforcement! Check out this article: 3 Reasons why Law Enforcement Officers need Jiu Jitsu! Fénix Jiu Jitsu Recent Events! No-gi, or submission grappling is exactly what it sounds like. It's much like BJJ, but without the gi, or traditional uniform. It's a little faster paced, and very exciting. There are no ranks in no-gi grappling, but the basic principles are the same as BJJ. Most tournaments have a division for both gi and no-gi, so it's a good idea to practice both. This class is a one hour class that's fairly informal, where we get right to business. The first half we learn a few techniques, the second half we "roll" or spar. It's a serious work out! (September 14, 1902 – October 7, 1994) began training Jiu-Jitsu/Judo with Misuyio Maeda (Count Coma at a young age. After a few years of training he became Count Coma's best student. Their training would come to a halt when Count Coma had to leave due to his business. Carlos decided to open his first Academy in 1925 with his brothers George and Helio. Here he and his brothers would issue challenges for Vale Tudo (No Holds Barred) fights between Jiu-Jitsu and any other martial artist to prove their system was the best. From here he would go on to open many other Academies in Brazil and create "The Gracie Diet" which is still very popular today. He fathered 21 children of which 11 became Black Belts of Jiu-Jitsu and 3(Carlson Gracie, Rolls Gracie and Carlos Gracie Jr.) became Legends of the sport. (January 17th, 1956 - Current) is the co-founder of Gracie-Barra and the International Brazilian Jiu-Jitsu Federation (IBJJF). He was partially raised by his Uncle, Helio and began training as a toddler. From an early age, he began training and instructing with his older brother, Rolls, and cousin, Rickson. He was promoted to Black Belt by his Uncle Helio in 1977. He is widely regarded as one of the best ambassadors of Jiu-Jitsu in the United States. In 2008, he was awarded his Coral belt (7th Degree, Red and Black striped). He was awarded his White and Red Striped belt (8th Degree) in 2015. (March 11, 1967 - Current) is a true MMA Legend. He has fought the best the world has to offer, while remaining one of the most fun-loving people in the world. Like most of the men in the Gracie family, he began training in the family art as a young child. He began fighting in Vale Tudo matches at 25 years of age. He has fought in many organizations such as UFC, Pride Fighting Championships, IFL, World Combat Championships, Pentagon Combat, and many more. He spent the later (and current) part of his life coaching and training other fighters. He has trained many of the top fighters currently competing. George St. Pierre, Chris Weidman, Luke Rockhold, Jake Shields, and many others still train at Renzo's NYC Academy. He also inspired top Jiu-Jitsu Competitors and trainers such as Matt Seirra, Ricardo Almeida, Tom Deblass, Garry Tonon, Gordan and Nicky Ryan, Eddie Cummings, and many more. 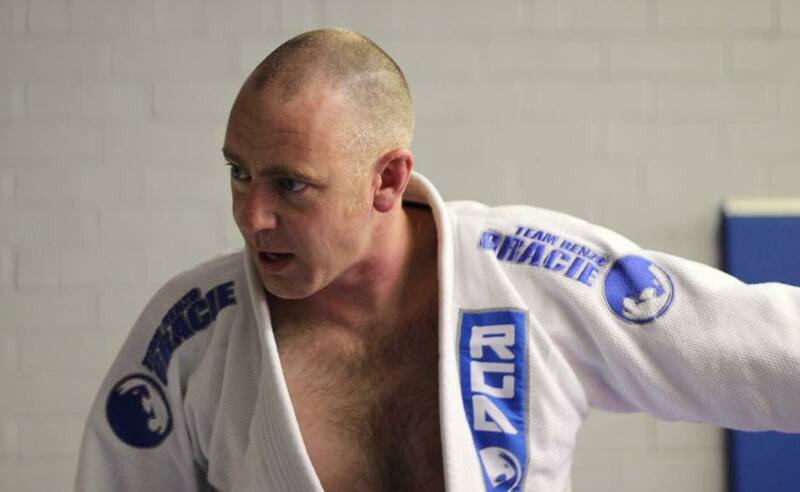 Head Instructor Professor Derek "TC" Richardson has been training in the martial arts for over 20 years. He has accumulated Black Belts in several styles. He moved to NYC to train with Renzo as a Purple Belt and was awarded his Black Belt by Renzo personally at his Academy, Leadership Martial Arts. We worked to become his students because of his unique and simple teaching style. Professor Richardson has a way of breaking the techniques down into tiny digestible pieces and chaining them together. This makes learning BJJ very easy. He also uses fun games and drills to help students understand the movements. His other accomplishments are as follows. Jason Bebber is a Brazilian Jiu Jitsu Brown belt under Derek "TC" Richardson. He has been active in various martial arts for over a decade and began instructing Jiu- Jitsu in 2014. Through Jiu-Jitsu, Jason has created a family of loyal students and continuously pushes them to reach their goals. His style of instruction is very laid back, but still extremely effective. He is also a firm believer of leading from the front; whether it's local tournaments (winning multiple gold and silver medals) or traveling for a Super Fight, he is always looking for a new challenge. Daniel received his Purple Belt Professor Richardson on one of the team's trip to Renzo Gracie Academy in March of 2017. He is the Senior trainer at Original Workout, our upstairs Athletic Training Center and handles many of the daily behind the scenes tasks. 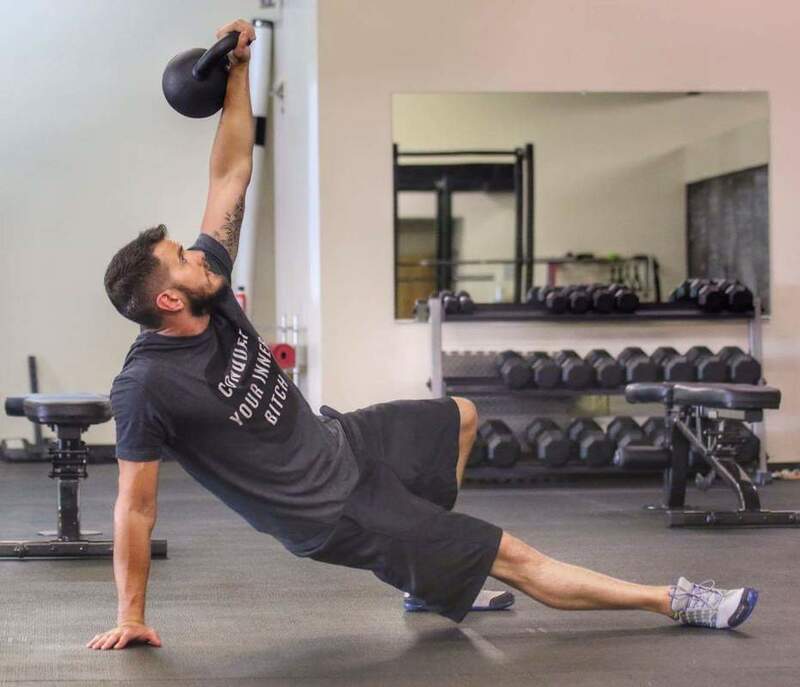 Being a lifelong student, he is always looking to increase his knowledge on human movement and training styles; whether it is other Martial Arts or fitness modalities, he is always looking to improve by learning as much as possible. You can learn more about Daniel by visiting his Trainer's Page. Derrick started training Brazilian Jiu-Jitsu in 2005 when he worked as a Prison Guard. He quickly rose through the ranks and began teaching the other LEOs in the area. Derrick is a very humble grappler and a very active person outside of the mats. He is dedicated to his health and maintains a steady calisthenics focused routine. He was promoted to Black Belt on January 19th 2019 by Derek Richardson. Already a Student? Download our FREE Training log template!